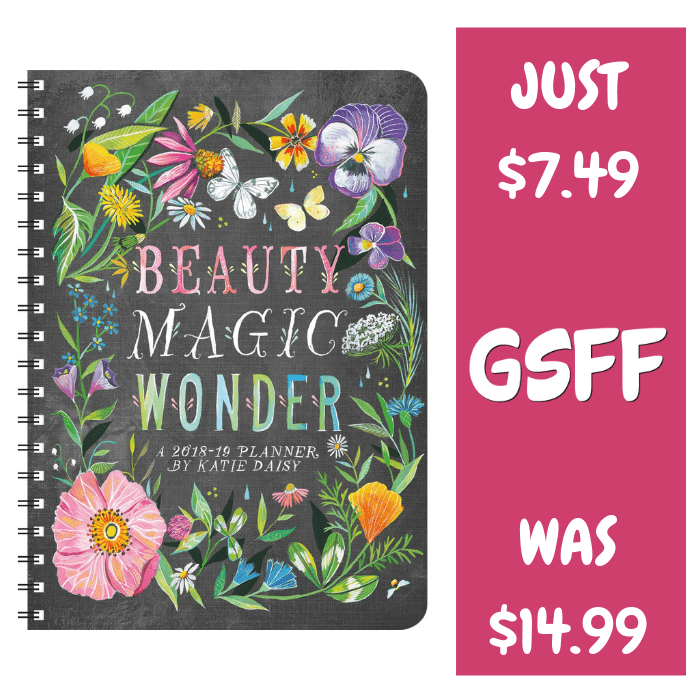 Weekly Planner 2019 Just $7.49! Down From $15! Shipped! You are here: Home / Great Deals / Amazon Deals / Weekly Planner 2019 Just $7.49! Down From $15! Shipped! Amazon has this Weekly Planner 2019 on sale for just $7.49 down from $14.99 PLUS FREE shipping! Celebrate your daily adventures with the whimsical and uplifting artwork of Katie Daisy as your companion. Each month of this special-edition planner begins with a captivating two-page color spread of illustrations in Katie’s signature watercolor style. From the creator of the New York Times best-selling book How to Be a Wildflower: A Field Guide. Thoughtfully-crafted wildflowers, butterflies, birds, and nature textures guide you through the weeks.